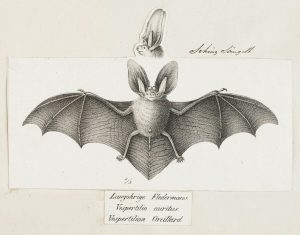 Phytology is launching a new bat sanctuary project – extending the natural resources of the Bethnal Green Nature Reserve to accommodate an urban bat population. The development of the bat sanctuary is the natural next step in our ongoing biodiversity improvement programme. This evening workshop will focus on the importance of Bethnal Green Nature Reserve for bats. Visitors will get the chance to learn more about the Bat Sanctuary project, why and how bats are awesome little mammals that happily live around us and what we can use to listen and experience them on our doorstep. Following a vegetarian dinner over a campfire, we will sit and listen for bats which may be using the reserve. Melanie King a multi-disciplinary artist and curator from Lumen at St John’s Crypt, will be setting up her telescope pointed at the night sky and will discuss the close interaction between the moon and the natural world. Wrap up warm and bring a torch for an evening that reveals how nature never stops once the sun goes down.